Commissioning is the term used when you authorise someone to produce something for you i.e. 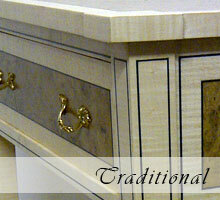 a piece of furniture, made to your specification. Commissioning can be a very rewarding and enjoyable experience because you are very active in its design and the finished product will be unique and personal, a one off. 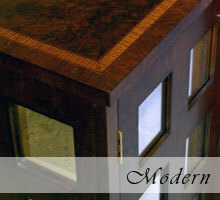 The first step in commissioning a piece of handmade furniture is a call to me to discuss your requirements. You should have some idea of the size and function of the piece and also how much you are prepared to pay. 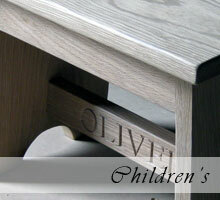 A piece of furniture made to your specification will be more expensive than one mass produced in a factory. 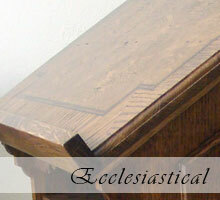 The cost will depend upon how complex the design is, how long it takes to make and what finish is required. The next step is for me to meet you at the place which the piece of furniture will occupy. This meeting gives us the opportunity to discuss and fully understand your requirements as well as agree the timescale and look at samples of various timbers and finishes. 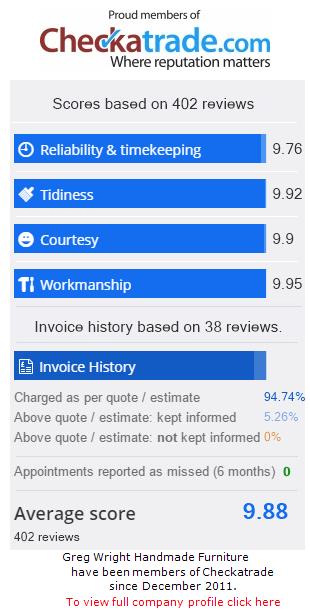 Following this visit I will produce an initial design and quotation (small charge for design that will be deducted from balance if work is completed), this will show all dimensions, timbers and finishing. When the final design is agreed a deposit is required with the balance payable on completion.